RBOB is an acronym for “Reformulated Gasoline Blendstock for Oxygenate Blending”. Gasoline is a complex mixture of hundreds of lighter liquid hydrocarbons and is used chiefly as a fuel for internal-combustion engines. Petroleum crude, or crude oil, is still the most economical source of gasoline with refineries turning more than half of every barrel of crude oil into gasoline. Octane is a measure of a gasoline’s ability to resist pinging or knocking noise from an engine. Most gasoline stations offer three octane grades of unleaded fuel – regular at 87 (R+M)/2, mid-grade at 89 (R+M)/2, and premium at 93 (R+M)/2. 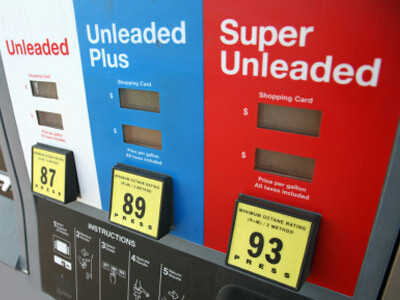 Additional refining steps are needed to increase the octane, which increases the retail price. This does not make the gasoline any cleaner or better, but yields a different blend of hydrocarbons that burn more slowly. In an attempt to improve air quality and reduce harmful emissions from internal combustion engines, Congress in 1990 amended the Clean Air Act to mandate the addition of ethanol to gasoline. Some 2 billion gallons of ethanol are now added to gasoline each year in the U.S. The most common blend is E10, which contains 10% ethanol and 90% gasoline. Auto manufacturers have approved that mixture for use in all U.S. vehicles. Ethanol is an alcohol-based fuel produced by fermenting and distilling crops such as corn, barley, wheat and sugar. The new popularity of RBOB in the exchanges owes much of its success to state legislation banning gasoline with MTBE. This chemical was found in unleaded gasoline and posed a threat for people and wildlife because it polluted groundwater sources. As a result, RBOB, which does not contain MTBE, has quickly grown in popularity with futures traders, and it has also become the new benchmark gasoline contract. RBOB futures and options previously traded on the New York Mercantile Exchange (NYMEX) until 2008 when the CME group acquired NYMEX Holdings. The electronic contract on Globex trades from 5:00 PM CT to 4:00 PM CT, Sunday through Friday. Additional RBOB contracts trade on CME Clear Port, a set of flexible clearing services open to OTC market participants, as well as on the Intercontinental Exchange (ICE) after it acquired the International Petroleum Exchange (IPE) in 2001. One contract unit for RBOB futures is 42,000 gallons. The most common contract symbol is RB. The contract is priced in U.S. dollars and cents per gallon. The futures contract price quotation is $0.0001 per gallon. The previous settlement price for January 2014 RBOB (November 21, 2013) was 2.7191. The next price movement or “tick” after 2.7191 upward is 2.7192, followed by 2.7193. Each tick is $4.20. A full cent move, from 2.7191 to 2.7291 for example, is $420. The performance bond or initial margin requirement to initiate one futures contract position is $5,830 (as of November 11, 2015). To control that futures position going forward the maintenance margin becomes $5,300 (as of November 11, 2015). At the commencement of each trading day, there is a price fluctuation limit in effect for each contract month of the RBOB futures contract of $0.25 per gallon above or below the previous day’s settlement price for such contract month. If a market for any of the first three (3) contract months is bid or offered at the upper or lower price fluctuation limit, as applicable, on CME Globex it will be considered a Triggering Event which will halt trading for a five (5) minute period in all contract months of the RBOB futures contract, as well as all contract months in all products cited in the Associated Products Appendix of rule 191.07. The futures contract month listings are 36 consecutive months. Trading in a current delivery month shall cease on the last business day of the month preceding the delivery month. The Last Trading Day for the January 2014 RBOB futures contract is December 31, for example. Be aware that the Energy Information Administration (EIA) typically releases a weekly Energy Stocks report on Wednesdays at 9:30 AM CT.
Visit www.danielstrading.com for additional contract specifications and market information regarding the RBOB futures market.